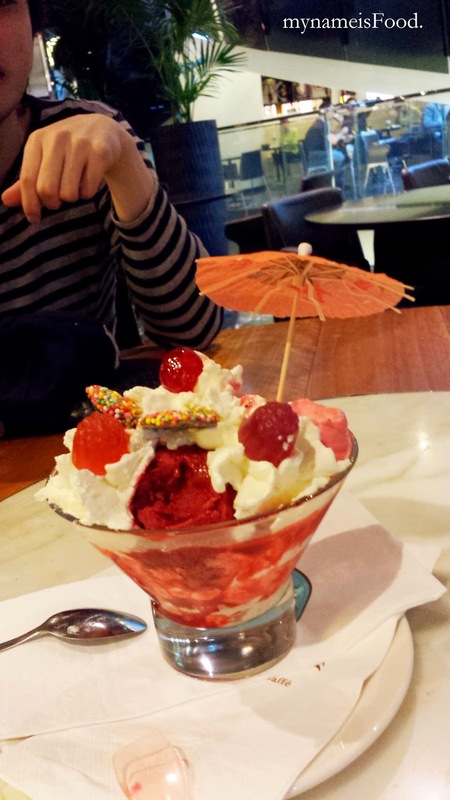 Via del Corso Pasticceria e Caffe, Westfield Sydney, Sydney CBD - my name is Food. If you see a big round displays filled with yummy tarts, cakes, gelato and other sweet treats, then you may find yourself in True Italian desserts and coffee haven.. 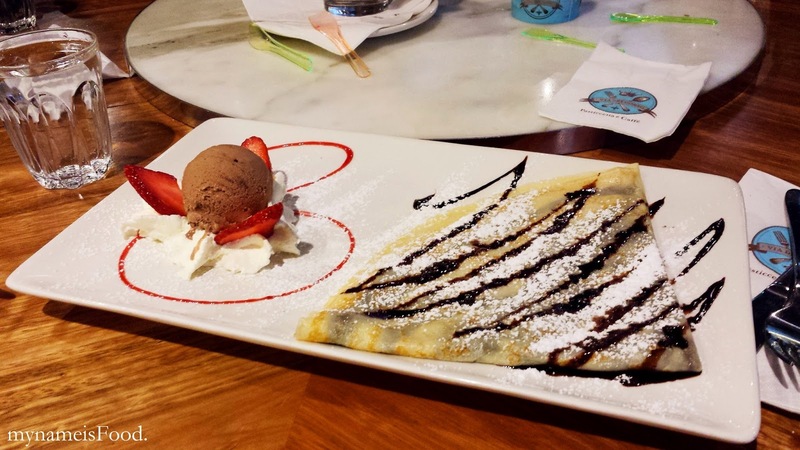 Located in the food court area in Westfield Sydney, it will definitely be hard to miss.. Not sure of where to go after meeting up with some friends, we ended up here.. The dessert on the right, I did forget the name, I think it was 'Lady in Red' (around $15 from what I can recall, they were all standard prices). 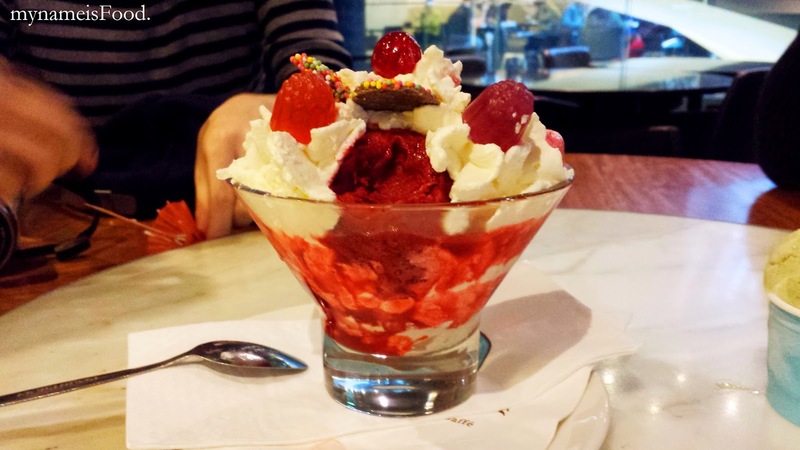 It had fresh cream, three assorted berry gelato and raspberry lollies & sprinkle chocolate on top. It was too sweet for my liking but was quite a pretty dessert and a filling one too. 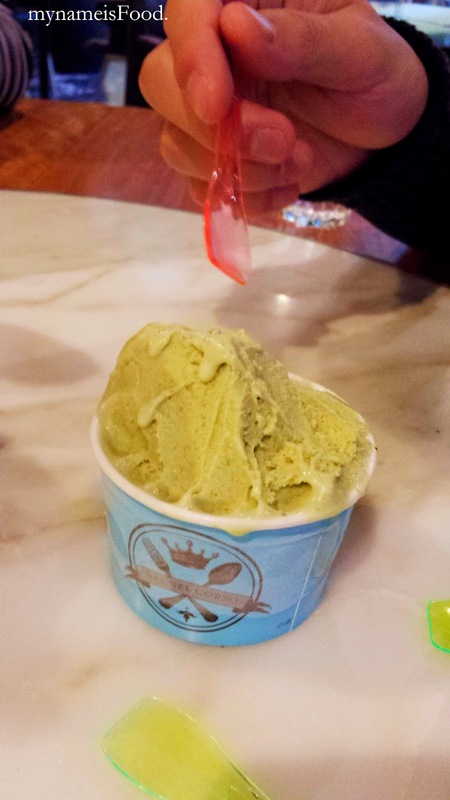 A scoop of Pistachio Gelato ($5 for 1 scoop) was quite nice, with bits of pistachio and the taste wasn't very sweet either. Smooth and creamy, it didn't have that coarse texture. 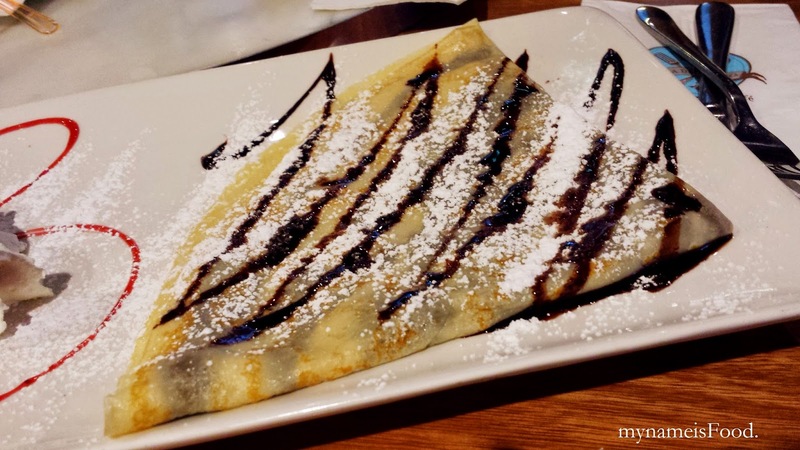 I was wanting crepes at the time so I ordered us a crepe of 'Italian Nutella Chocolate' ($12) which was a simple nice thin crepe with nutella chocolate and icing sugar on top. Served with a dollop of ice cream which you could choose the flavour of with fresh cream and strawberries along with fruit coulis. 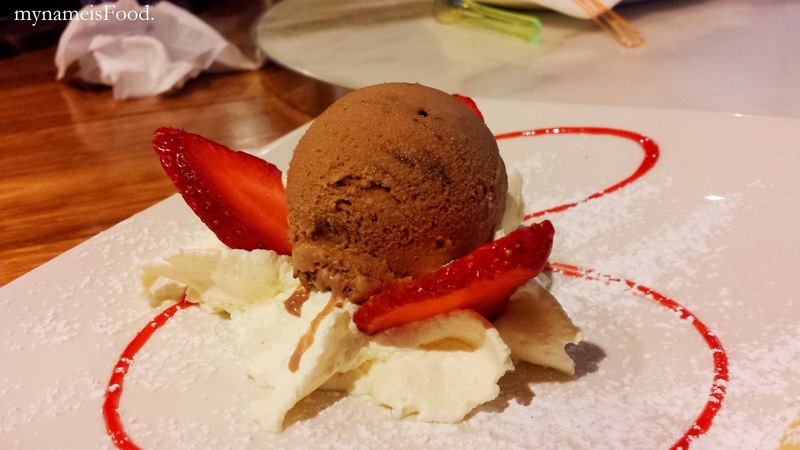 The Ice cream was really nice and you could really taste the texture of the chocolate bits, as for the coulis and the chocolate sauce, it seemed nothing extraordinary and was just simply a simple dessert to share.